The Red Cross is a supranational organisation that aims to provide people with care, regardless of who they are, what they do and where they come from. They focus on helping people in a way that will result in self-reliance and improvement of overall life. 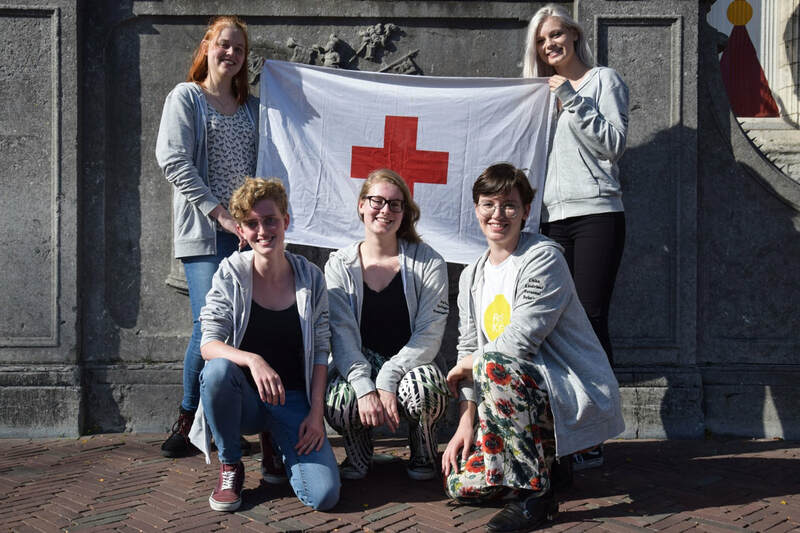 The Red Cross Studentdesk likes to focus its activities on improving people’s ability to take care of themselves and promotes independence which allows the Red Cross to stand out from other organisations. Serious Request: Organised with the Dutch radio station 3FM where 3 teams of DJ’s walk towards Utrecht in a week visiting all types of money raising events for 3 charities. There will be events held at UCR in order to support this and to raise additional money. Campus First Aid: An additional care aspect for the students so that there is someone to go to or call on the campus locations if there is a minor health incidence. The first aiders all have certificates and are qualified to help with such injuries. Ready2help: In the case of an emergency where a student needs transportation to the hospital quickly, but an ambulance is not needed, they can contact their campus first aiders to arrange a ride from someone in Middelburg. First aid classes: Every semester first aid courses are organized consisting of an online course and a practical day. Lectures: We organize a range of lectures about topics that would help students become more independent, such as self-defence, burn-out trainings or fire trainings. There are also opportunities for Dutch speaking people. If you have any questions, ideas, remarks or something else that you’d really like us to know about, feel free to send us a message in either Dutch or English (via Facebook or to Studentendeskzeeland@rodekruis.nl).